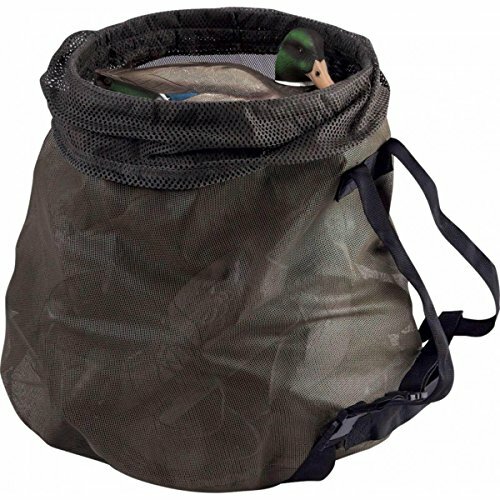 The number one feature of the Big Mouth Decoy Bag with Pyramid Bottom by Drake is the patent-pending Load Opening. They have placed a heavy-duty plastic extruded ring into the mouth of this rugged decoy bag to hold it open for no hassle super fast loading. Next Drake styled the cut of this decoy bag like a Pyramid wider at the bottom and narrowing to the width of our Big Mouth Opening. This allows it to stand up without tipping over like most other decoy bags except of course Drake's very own Patented Stand-Up Decoy Bag.